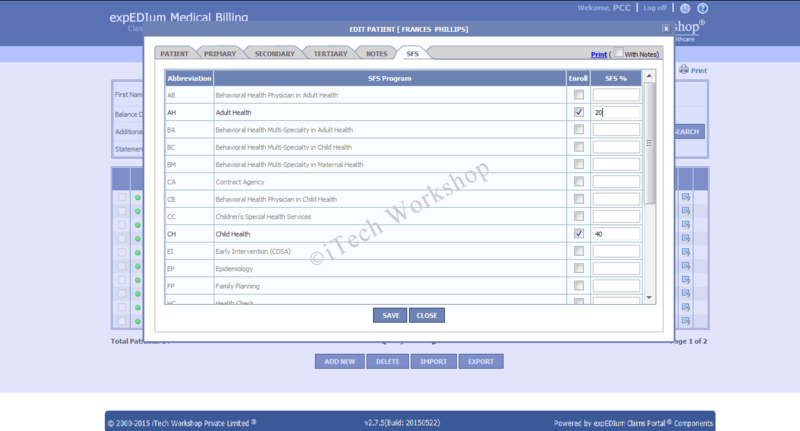 ﻿ Public Health Billing | Community Health Billing Software. iTech’s advanced, stress-free, secure Web-based expEDIum Medical Billing and Practice Management Software supports Public Health Clinic & Community Health Departments. We are the leading PMS vendor in the Public Health Clinic space in the state of North Carolina with hundreds of providers currently in our software and penetrating in other states too. The solution supports both HCFA-1500 and UB-04 claims. This cloud based solution is ICD-10 code ready and available on a monthly subscription. This billing solution supports significant features for Public Health Clinics such as Atypical ID’s that are used when filing electronic claims to Medicaid, Sliding Fee Schedule (SFS), Debt Set off features, support for SFS details at claim level, cash posting for self-pay, direct MCOs connectivity, and PHD specific reports such as program summary reports, support for confidential claims & cost settlement, cost absorbed reports, debt set-off and more. iTech’s expEDIum Medical Billing Software is integrated with a few EMR/EHRs to provide a complete Web Based Electronic Health Record + Practice Management + Clearinghouse Solution which is easy to access and to streamline complete healthcare billing and claims processing workflow. 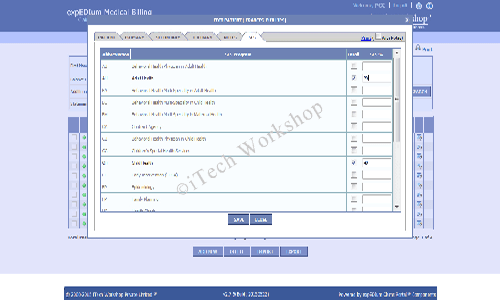 We have an API available to interface with such applications securely and seamlessly.